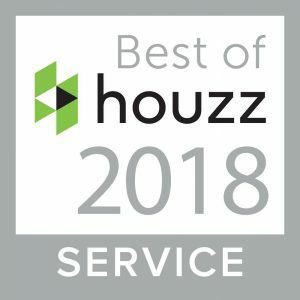 Europlanters Ltd of Stockport, Cheshire has won “Best of Customer Service”, on Houzz®, the leading platform for home renovation and design. The 28-year-old British Manufacturers of GRP planters was chosen by the more than 40 million monthly unique users that comprise the Houzz community from among more than one million active home building, home improvement and design industry professionals. “Customer service is at the heart of everything we do” said Julie Wilkes Director of Europlanters Ltd “so we are thrilled to have received this award. This reaffirms what we strive to do every day by working with customers to achieve great results for their home and garden. We would like to thank all of our customers who gave us reviews which enabled us to achieve this award”. Established since 1990 Europlanters Ltd are British Manufacturers of GRP planters with an in-house design and estimating team. They have a huge range of standard GRP planters available but are also specialists in manufacturing bespoke pieces. Europlanters Ltd work with architects, interior designers, garden designers, landscapers, construction companies and planners to create a variety of landscape schemes and roof terraces.